Groundhog Nights by Comfect Rated: T [Reviews - 1] 2 New! Pam relives a single day over and over again--what can she do to break the loop. We all know, but when will she figure it out? Inspired by Groundhog Day (of course) and the two fics based on that movie on this archive already, House Call by time4moxie and especially Second Chances: The Booze Cruise by GreenFish (though that one is Jim POV). More (Than That) by celluloiddreams Rated: MA [Reviews - 29] 25 New! Things are about to change (Pilot) by Kuri333 Rated: K [Reviews - 4] 4 New! The crew that is going to film them around the office has arrived and Jim realizes things are going to change... and he has to do something about it. Skin and chips by Kuri333 Rated: M [Reviews - 15] 16 New! There sits that bag of chips, on the passenger seat, to remind her of him, of his skin, and of the things that need to be fixed in her life. What if Pam reacted much sooner than Casino Night? Set after S02 E06, The Fight. Hey, um, Can I Ask You a Question? by PBandTuna Rated: K [Reviews - 6] 4 New! 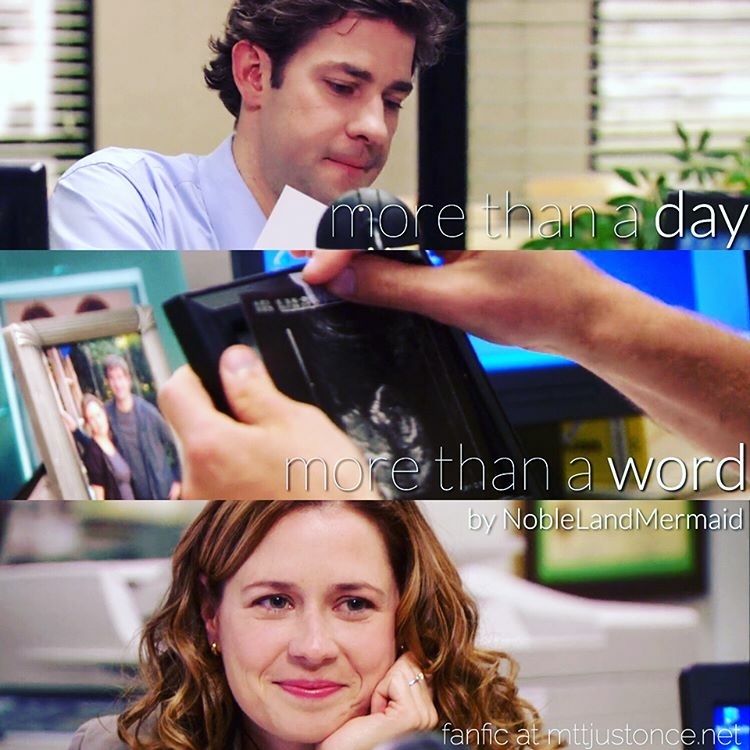 Summary: An AU conversation after Pam's speech at the beach. "It was Saturday afternoon and Jim was sitting on his couch watching a basketball game and drinking a beer, when the doorbell rang. Jim was confused, he wasn’t expecting anyone, so he almost didn’t answer the door because it was probably some door to door salesman he had no time for. But he did. He launched himself from the couch and swung open the door. And saw nothing. Something moved below him in his peripheral vision, and his eyes snapped down." Set around Season 2ish, before Casino Night.